Check out our first issue-based zine, featuring findings from four months of observing how drug cases are handled in Brooklyn and Manhattan arraignments. Read our first newsletter! 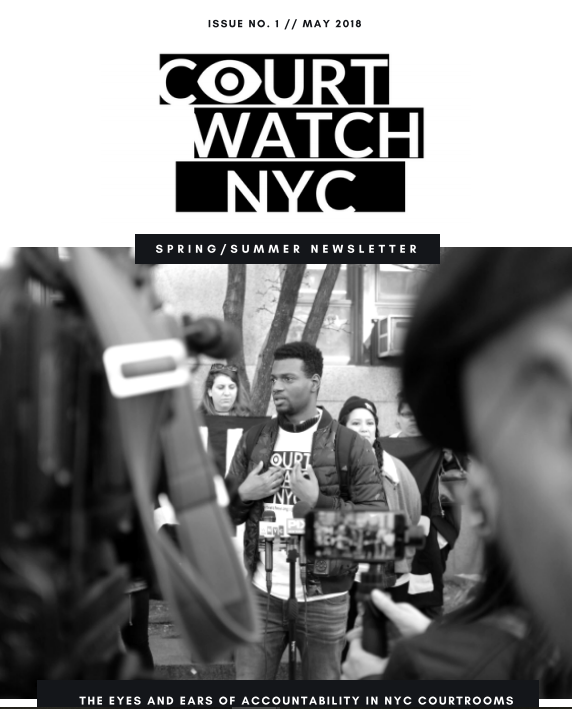 Including some background on why we started Court Watch NYC, our launch, and what we've seen in court so far.